Once again Storycom is encouraging Chinese fans to take an active part in the Worldcons — with its third Worldcon Attending Fund for Chinese Fans, offering two grants for Chinese conrunners to attend Dublin 2019. In order to encourage Chinese fans to take an active part in Worldcons and enhance the communication between Chinese and international fandom, Storycom sets up this Worldcon Attending Fund under the scheme of Shimmer Program. Two active Chinese fans will be selected and granted RMB 10,000 each, for their attendance in and work for Dublin 2019 – An Irish Worldcon, which will be held in Dublin in August 2019. The beneficiaries should buy attending memberships for Dublin 2019, book their trip, as well as apply for visa by themselves, with the help of Storycom. The beneficiaries should also volunteer to work for Dublin 2019, be administrators of the future Worldcon Attending Fund and promise to take active part in attending and organizing both domestic and international science fiction activities in the future. The applicant must be a Chinese citizen and live in mainland China. The applicant should promise that he/she will help with future Chinese Worldcon bid if there is any. The applicant’s English proficiency should meet the requirements of working for Worldcon 76. Judging the applications will be . Colin Zhang, the winner of Worldcon 75 Attending Funding (2017) & Hospitality Deputy Division Head of Worldcon 75, and Tammy Coxen, Division Head of Member and Staff Services of Dublin 2019. This year’s winners, Sharon Shi and Mackenzie Lin, attended and worked on Worldcon 76. Their travel reports are in Chinese — but illustrated with many photos from the con. Full requirements and application guidelines are available at the link. 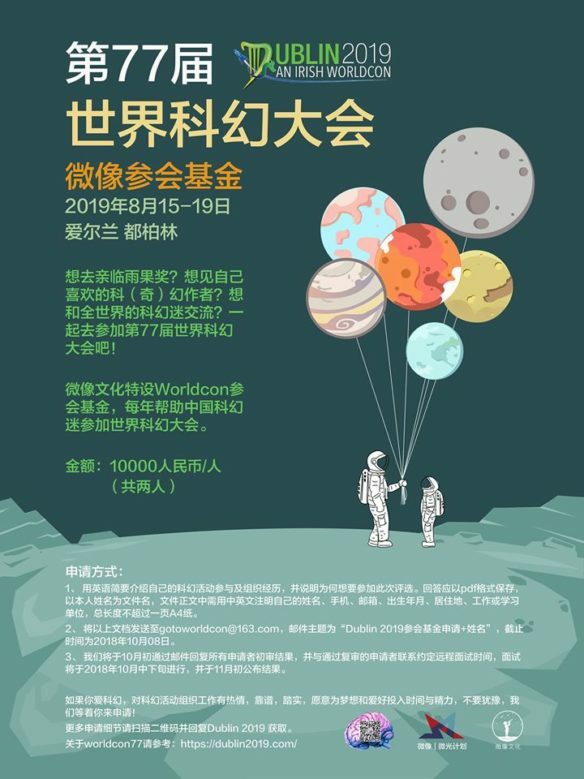 Storycom is encouraging Chinese fans to take an active part in the Worldcons by offering grants for Chinese conrunners to attend Worldcon 76. 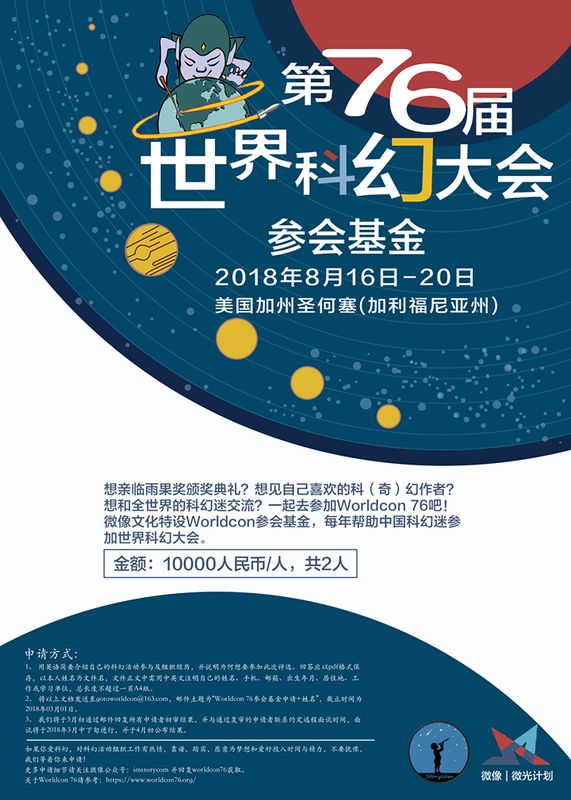 2 active Chinese fans will be selected and granted RMB 10,000 each, for their attendance in and work for Worldcon 76, which will be held in San Jose in August 2018. The beneficiaries should buy attending memberships for Worldcon 76, book their flights and hotels, as well as apply for visa by themselves, with the help of Storycom. The beneficiaries should also volunteer to work for Worldcon 76 and promise to take active part in attending and organizing both domestic and international science fiction activities in the future. 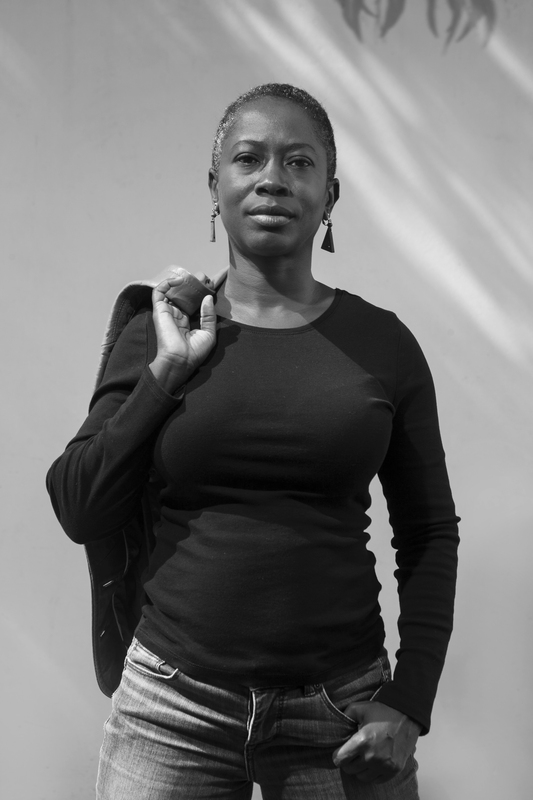 (1) Karen R.A. Lord has been named Worldcon 75’s Toastmistress. Today we are also thrilled to announce #Worldcon75's Toastmistress, the amazing Karen Lord a.k.a. @drkarenlord! ? (2) Worldcon 75 has released Progress Report 3. Download it free here. If you have paid for paper publications, you will also receive a printed PR3 in the post early next month. If you have not paid for paper publications, you are still welcome to print out this PR3 and savor its wisdom and knowledge in a nice warm sauna or elsewhere, or to enjoy its pixels directly on your screen. In order to encourage Chinese fans to take active part in Worldcons and enhance the communication between Chinese and international fandom, Storycom sets up this Worldcon 75 Attending Funding. 2 active Chinese fans will be selected and granted RMB 10,000 each, for their attendance in and work for Worldcon 75, which will be held in Helsinki in August 2017. The beneficiaries should buy attending memberships for Worldcon 75, book their flights and hotels, as well as apply for visa by themselves, with the help of Storycom. 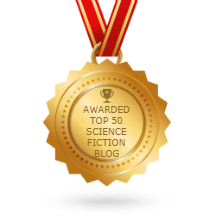 The beneficiaries should also volunteer to work for Worldcon 75 and promise to take active part in attending and organizing both domestic and international science fiction activities in the future. 1. The applicant must be a Chinese citizen and live in mainland China. 2. The applicant must be a science fiction fan and have experience in organizing science fiction activities. 3. The applicant must be available during August 9-13, 2017 and can attend Worldcon 75 in Helsinki, Finland. He/she should also volunteer to work for Worldcon 75 before the con actually takes place. 4. The applicant should promise that he/she will help with future Chinese Worldcon bid if there is any. 5. The applicant’s English proficiency should meet the requirements of working for Worldcon 75.